Today's customers want to know their products will be delivered securely without any hassle. They're accustomed to ordering products online, being able to track each shipment in real-time, and getting their products quickly. In order to keep your customers happy, turn prospects into customers, and ensure longevity, it's pertinent for delivery logistics to be at the forefront of your brand. You don't have to sell through a large online retailer to ensure your customers get a top-shelf delivery experience. Instead, you need software that puts the control into your hands with an easy-to-use application for real-time updates. 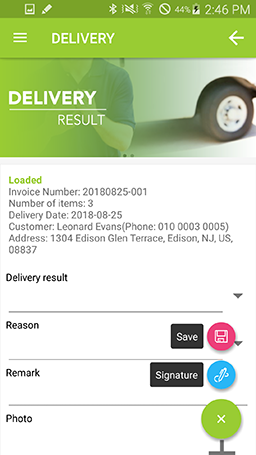 KOAMTAC's Delivery App within KOAMTACON allows you to clearly communicate with your delivery team and ensure your delivery team can clearly communicate with your customers. 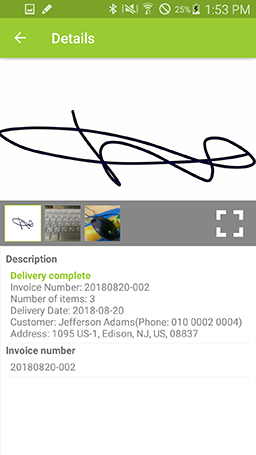 Gone are the days of several scattered pieces of paper containing addresses and phone numbers and delivery drivers handwriting status updates with a clipboard — with KOAMTACON every delivery is tracked from your warehouse to your customer's hands (and everywhere in between). Additional offline productivity ensures no step is missing - even in an area with spotty service. 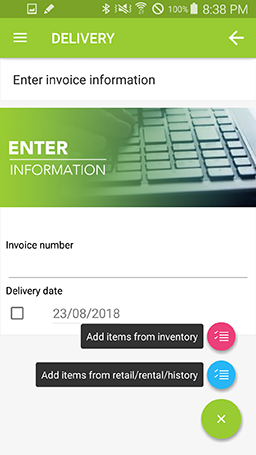 Create and edit delivery jobs directly from inventory. You can also refer to a rental list, retail list, or previous delivery job to access all necessary information. You can also add multiple addresses to a customer here! Access all information regarding what products need to be loaded and what has already been loaded. Scan a barcode to mark the product as loaded and the item will be removed from inventory. For each delivery, view customer name, address, and have quick links for getting in touch with them via phone. Directions are available via google maps integration. Add photos and capture signatures for proof of delivery. View all job statuses from one screen and zero in on the data captured for proof of delivery. 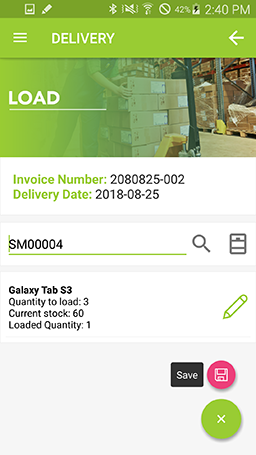 Run a report for a quick view of products loaded and pending load as well the number of completed, absent, and failed deliveries. Export this report at any time for high-level views of progress. As an admin, you can view real-time updates for each delivery from every worker. Use Boolean logic to filter or sort the updates for simple reporting and analysis.